This extremely well-written novel was a real eye-opener. 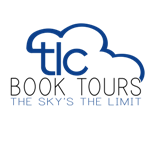 Amazon affiliate links are used in this post. A free book was provided for this review. From Amazon: For two decades, Zeba was a loving wife, a patient mother, and a peaceful villager. But her quiet life is shattered when her husband, Kamal, is found brutally murdered with a hatchet in the courtyard of their home. Nearly catatonic with shock, Zeba is unable to account for her whereabouts at the time of his death. Her children swear their mother could not have committed such a heinous act. Kamal’s family is sure she did and demands justice. Barely escaping a vengeful mob, Zeba is arrested and jailed. 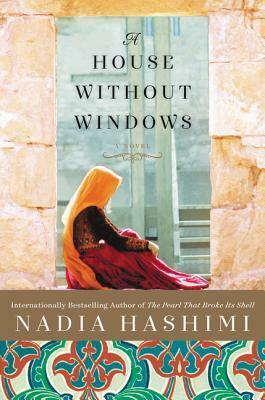 Awaiting trial, she meets a group of women whose own misfortunes have led them to these bleak cells: eighteen-year-old Nafisa, imprisoned to protect her from an “honor killing”; twenty-five-year-old Latifa, a teen runaway who stays because it is safe shelter; twenty-year-old Mezghan, pregnant and unmarried, waiting for a court order to force her lover’s hand. Is Zeba a cold-blooded killer, these young women wonder or has she been imprisoned, like them, for breaking some social rule? For these women, the prison is both a haven and a punishment; removed from the harsh and unforgiving world outside, they form a lively and indelible sisterhood. Into this closed world comes Yusuf, Zeba’s Afghan-born, American-raised lawyer whose commitment to human rights and desire to help his homeland have brought him back. 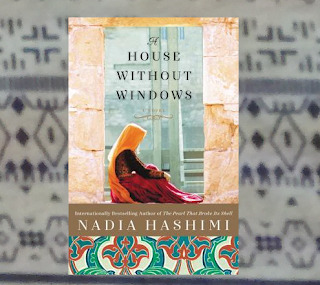 With the fate this seemingly ordinary housewife in his hands, Yusuf discovers that, like the Afghanistan itself, his client may not be at all what he imagines. My Review: For a woman, this extremely well-written novel was a real eye-opener. Even though women in much of the world feel discriminated against on a daily basis, it is nothing compared to the way women are treated in Afghanistan. Zeba was a quiet, loving wife and mother for years before her husband was found murdered in their yard and she had blood on her hands. Few questions were asked by the police before she was dragged into jail where she was left for months with no contact with her children, until her trial. The jail is full of women who made mistakes like dishonoring their father by spending too much time with a man that the family didn't approve of. With some of the lesser crimes by the other women in her cell, Zeba, an accused murderess is a real criminal. Even though she has a lawyer to try to help her, Zeba doesn't want to say anything that will cause dishonor to her husband's family plus she knows that she is safer in jail because they can't get to her to kill her for the murder. A very telling line, that was written several times in the book, is that there is no reason for a woman to give evidence at her trial because a woman's testimony is considered half as important as a man's. In reality, Zeba is courageous and strong - a fact never accepted by the men in the novel. This is a shattering, eye-opening novel based on common occurrences of issues for women in Afghanistan. was born and raised in New York and New Jersey. Both her parents were born in Afghanistan and left in the early 1970s, before the Soviet invasion. Her mother, granddaughter of a notable Afghan poet, traveled to Europe to obtain a Master’s degree in civil engineering and her father came to the United States, where he worked hard to fulfill his American dream and build a new, brighter life for his immediate and extended family. Nadia was fortunate to be surrounded by a large family of aunts, uncles and cousins, keeping the Afghan culture an integral part of their daily lives. 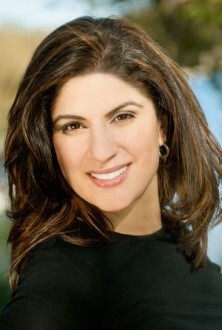 Nadia Hashimi is a pediatrician of Afghan descent and an internationally bestselling author. She attended Brandeis University, obtained a medical degree from SUNY Downstate and trained in pediatrics at New York University. She has hometowns in both New York and New Jersey but now calls Maryland home. She is an advocate for women's rights and a public speaker. Her previous books are The Pearl that Broke its Shell and When the Moon is Low. Susan Roberts lives in North Carolina when she isn't traveling. She and her husband enjoy traveling, gardening and spending time with their family and friends. She reads almost anything (and the piles of books in her house prove that) but her favorite genres are Southern fiction, women's fiction, and thrillers. Susan is a top 1% Goodreads Reviewer. You can connect with her on Facebook. Kickoff to Summer Reading Book Sale! !